Now with a Slim Frame Design. 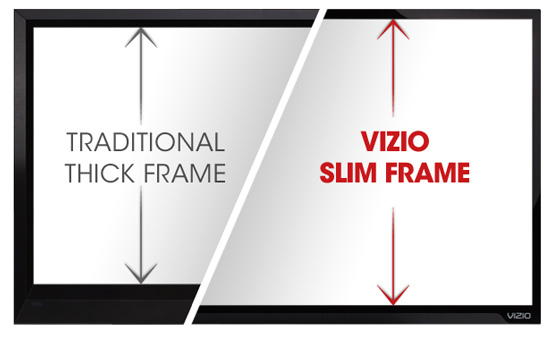 Introducing the new E-series slim frame design. 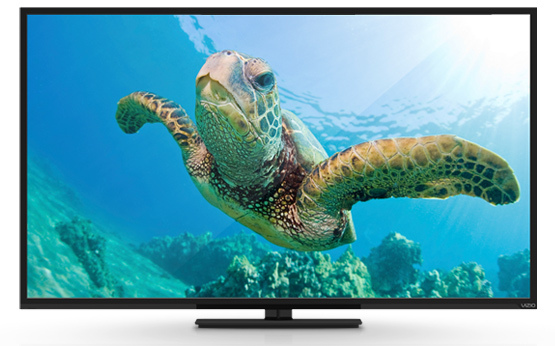 The VIZIO LED TV is shattering the mold in a way only VIZIO can, with high-quality design and picture at the best value. A slim frame design with ultra thin profile makes this a stunning entertainment centerpiece in any living space. Step up to richer colors and more vivid details. LED backlighting delivers a stunning, more vibrant picture in a stylishly slim frame. Its brilliance is enhanced on select models with intelligent Smart Dimming™ zones that adapt to surrounding brightness for a deeper contrast that’s also more energy-efficient. Your E-Series savings continue even after your purchase. 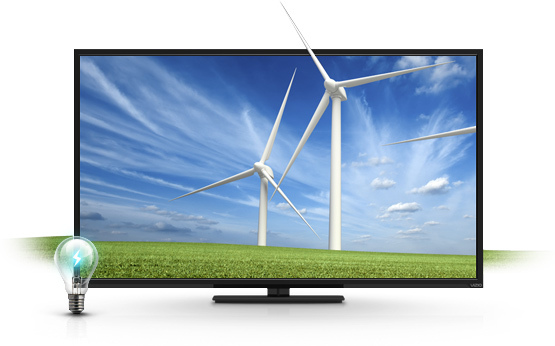 Its LED technologies are up to 50% more energy-efficient than comparable-sized LCD TVs lit with conventional CCFL technology. 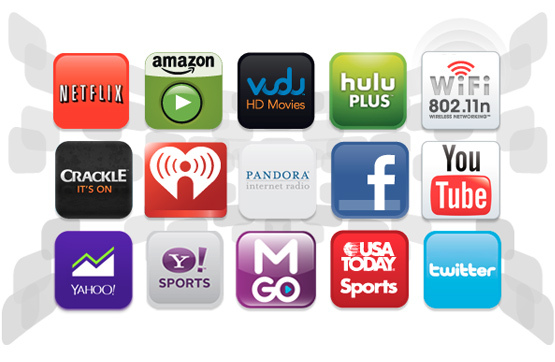 When compared to same size 2012 LCD HDTVs lighted with CCFL technology. The new slim frame design lets you maximize your entertainment space by allowing you to fit a bigger screen size TV in the same space. Images shown are for comparative and illustrative purposes only. Actual measurements may vary based on models. Deeper blacks. Brighter whites. Beautiful Picture. 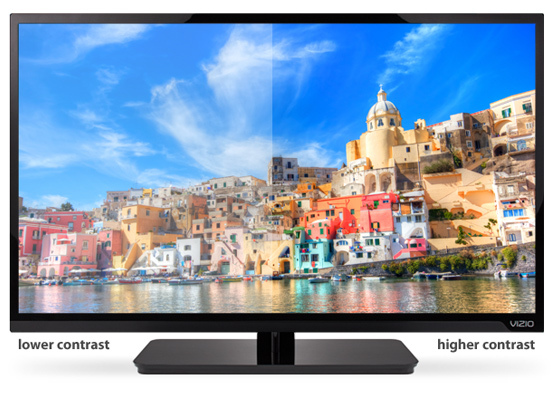 1080p Full HD resolution delivers ultimate detail and lifelike colors for a crystal-clear picture. 120Hz effective refresh rate gives you razor sharp clarity, crisp and clear images and an absolutely amazing viewing experience. SRS StudioSound™ delivers immersive surround sound, deep bass, clear dialog and level volume.